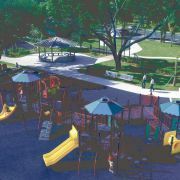 Creating a successful playground with the newest design trends along with key safety and accessibility considerations can be a snap when you do your homework. Spicing up your aquatic center is easier—and cheaper—than you think. A dash of creativity and pinch of clever marketing can turn your pool into a facility that makes both money and memories. We offer tips on how to turn your pool into a four-star facility. 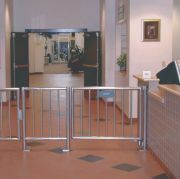 Security is the last thing people want to think about when they're at your facility. Will their belongings still be there when they return? Will their kids be safe? Is the parking lot well lit at night? We take a look at some innovative ideas and make recommendations for how you can keep your club and your clients safe and sound. They say this is the information age, a golden era of unprecedented ability to streamline and automate. When it comes to running a recreation center or health club, it's certainly true. Technology can make it easier to do everything from billing to membership tracking to facility-usage analysis and more. At health clubs, users can keep track of their workouts at each individual station. We look at facilities that have made good use of technology and how you can replicate their success. 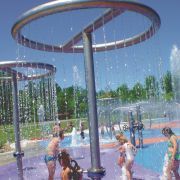 Aquatic facilities play an important role in offering people a fun venue in which to exercise. The need for more facilities that appeal to a broad population is important to fight the major medical maladies of our day. The more we make exercise (and good diet) attractive, the more people will exercise; fewer people will have long-term medical problems. Well-operated, exceptional facilities are what our country needs. We can make it happen right here at our local pool. Whether the facility is public or private, embracing the planning phase will provide a smooth transition into design and budgeting and, in the end, provide a better return on investment. Initial planning should cover a wide range of topics including programming, review of existing facilities/equipment, maintenance and budget. Researching these areas will lead to a clear path for choosing the right products and design for your needs. No matter how large or small your youth program facility might be, motivating the kids involved and keeping them coming back is paramount. Building a philosophy that kids can bond with will set a strong foundation in which to begin. Be willing to re-create or modify your program to meet the needs of the kids and to keep safety first. This summer, the Chicago Park District busily planted rye and alfalfa on the grounds of Chicago's old U.S. Steel South Works facility as part of an innovative project to turn the former slag site into a park. Officials expect the plantings to sprout by mid-September, a foreshadowing of the park to come. But this project isn't just another greening project for Chicago: It's part of an innovative Mud-to-Parks project in which 105,000 tons of sediment were dredged from Peoria Lake, loaded onto 79 barges and shipped 163 miles up the Illinois River to Chicago's old South Side steel mill, formerly a slag-covered site devoid of life. There, it was unloaded and spread atop the slag, covering 17 acres to a depth of two to three feet. Eventually, the plantings and the rich, fertile sediment will begin to turn into a green space on the Lake Michigan shore. Summertime, and the living is…hot, especially in Miami. A mere 1,500 miles from the equator, Miami's summer temperatures average in the 80s (by comparison, average summer temperatures in New York City are in the mid-70s), with plenty of July days topping out in the upper 90s. On top of that, humidity is sky-high and even a rainstorm isn't good for much besides more steam. In other words, it's an ideal climate for hissing cockroaches, Cuban crocodiles and Vietnamese potbellied pigs, to name just a few of the animals on display at the "cageless" Miami-Dade Metrozoo. Find out how the zoo keeps its human visitors cool despite the sultry climate. If you've ever been caught on a golf course or in an open field with a thunderstorm rolling in, then you know what it's like to scramble for someplace to take cover. Luckily for players tackling the links at the Harmony Golf Preserve in Harmony, Fla., there are some new shelters that offer a refuge from the electrifying elements.